Sculptor Ortho Fairbanks created this figure of Brigadier General Thomas L. Kane. 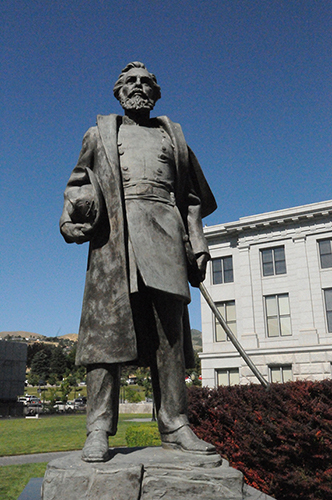 General Kane was an indispensable help to the early settlers in Utah. He assisted pioneers as they traveled to the region and mitigated early conflicts with the federal government before the territory was made a state.